This one-day training is tailored to 9th – 12th grade economics teachers throughout the state. Teachers hear lectures on a variety of economic topics, participate in Q&A sessions with experts in the field, and take home a wealth of materials for the 2018-2019 school year and beyond. Travel stipends are also available for those traveling from counties outside the training area. Please contact Terra Aquia at tvotaw@uca.edu for more information about future Teaching Free Enterprise professional development workshops. 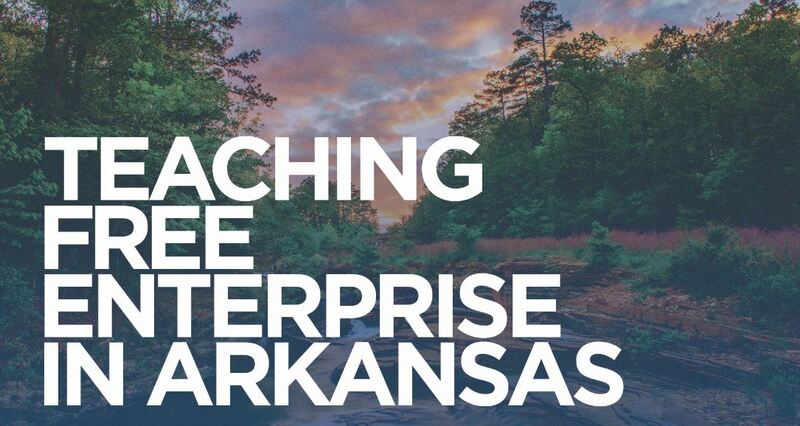 Teaching Free Enterprise in Arkansas workshops are provided through a partnership with ACRE, Economics Arkansas, and Southern Methodist University’s Teaching Free Enterprise program.